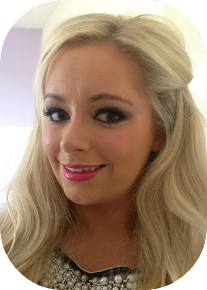 A few weeks ago I was contacted by Deborah Milano, the Number 1 Italian Cosmetic and Skincare brand that is now launching in the UK. Established by Brothers Giovanni Battista and Cornelio Bonetti in 1903 in Paris . Their core business aim was to manufacture pharmaceutical and health care products. Between 1903 and 1962 they had success with celebrity campaigns for their mutli purpose cream and added a few exciting new products: blusher, skin cream, toothpaste, hand cream and sunscreens. Then in 1962 the birth of the Deborah Brand was born! Making affordable makeup within reach for woman, they changed the way makeup was used and purchased. So with over 50 years experience under their belts, they have now decided to branch into the UK! 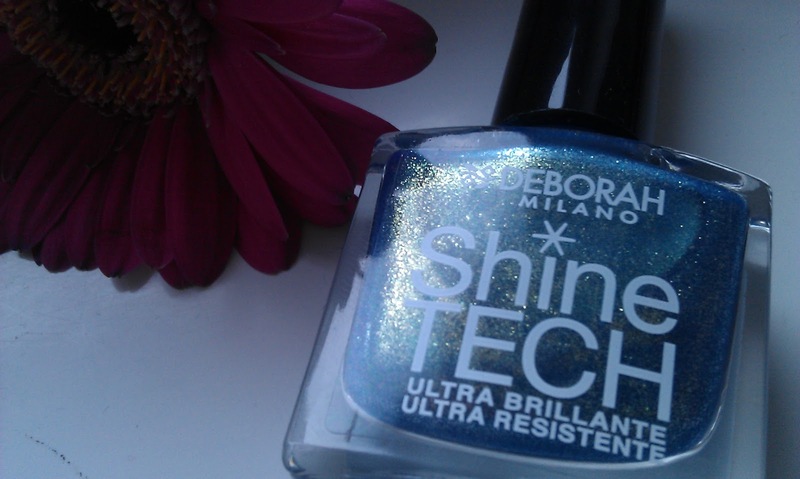 I was contacted to try out their 24 Hour Foundation* and also a Shine Tech nail polish* which has the latest-generation Hi-Tech formula for extreme wear and glistening shine. I also got to choose the shade which was great! 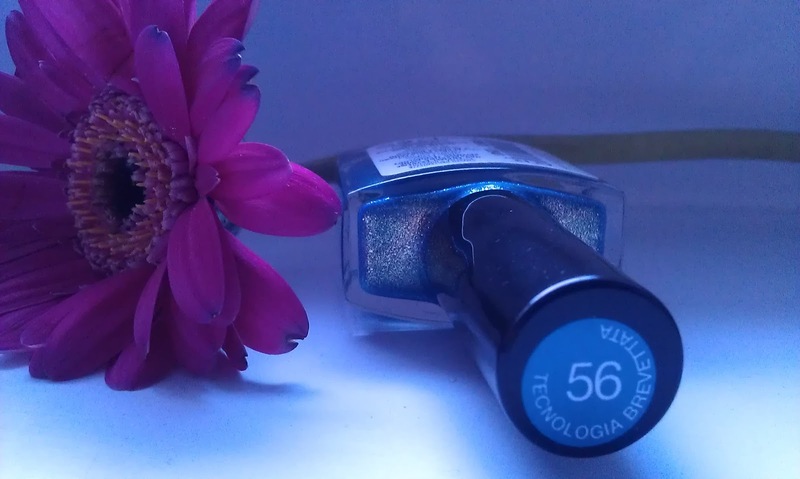 The nail shade I went for was number 56, from the website it looks like a teal glitter which is right up my street. When it arrived last week I just fell in love with the colour, even looking in the bottle I could tell this was a high pigmented polish so couldn't wait to try out for myself. After appling my clear base coat I applied 2 coats of this, you could go for 3 but 2 provided me with enough coverage. I really like the brush, its wide and the handle is a nice long round shape, really hate it when polish have short handles and make it difficult to apply. Even when using my bad hand the precision brush ensured I made very little mistakes all in all a good thing! Once dried I applied a clear top coat and I was left with a gorgeous mermaid like colour with a fantastic smooth finish. Being full of glitter often these types of polishes are not smooth and instead are rough and I end up catching them on my clothes but this was as smooth and silky as a non glitter polish. 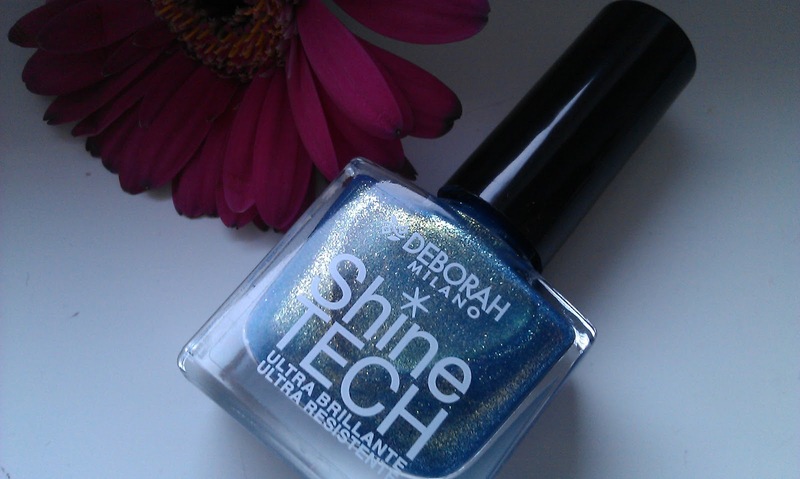 I am really happy with this polish and will be picking up some more goodies from Deborah Milano soon! Aww reminds me of a mermaid haha. So pretty! This looks soo beautiful in the light! 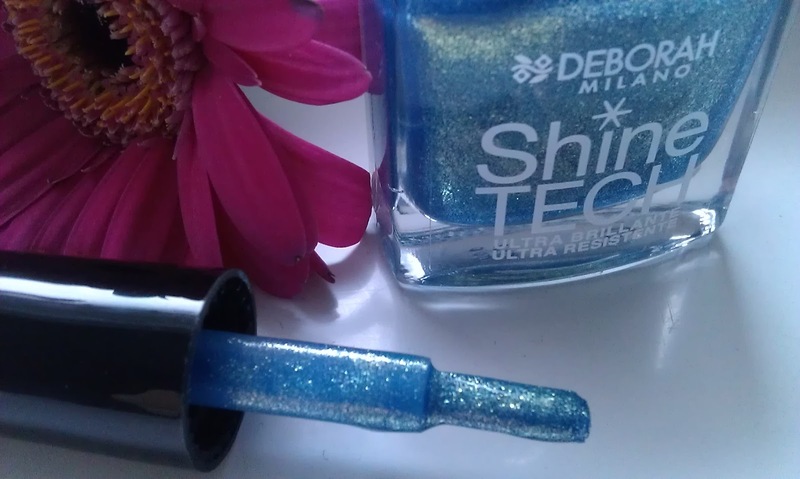 Not heard of shine tech before, but this colour looks lush! This is such a pretty mermaid nail polish :) Where did you get it from?